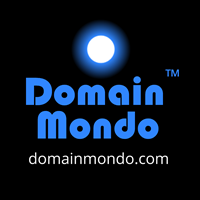 Domain Mondo's weekly internet domain news review (NR 2017-10-08) with analysis and opinion: Features • 1) RySG Requests $$$ and "Detailed Accounting" From ICANN, 2) Other ICANN news: .AMAZON Diplomacy, 3)Names, Domains & Trademarks: Donuts' "struggling" new gTLDs, 4) ICYMI: Project Loon in Puerto Rico, 5) Most Read Posts. The RySG (gTLDs Registries Stakeholder Group) has requested $$$ (again), and a "detailed accounting" from ICANN--the latest in the festering spat between the failing new gTLDs' registry operators and the ICANN organization, specifically its "Global Domains Division" set up by ICANN ex-CEO Fadi Chehade and primarily staffed by incompetent cronies of Chehade, including its President, Akram Atallah, who, collectively, required 5½ months to summon up the courage to tell the RySG "No" in its reply dated August 29, 2017, to a previous RySG letter--see News Review | New gTLDs Hucksters Lose Again: ICANN Says No $$$ | DomainMondo.com. "An obvious request relates to an apparent double charging and a refund of the additional $5,000 ICANN collected from each registry operator to set-up the TMCH ... ICANN is very much in a position to refund registry operators for this overcharge, and we request that ICANN do so." "We think that ICANN should launch a broad awareness campaign for the new gTLDs" [Editor's note: this request that ICANN become, in effect, a PR and marketing agency for new gTLD registry operators, seems incompatible with ICANN's Articles, and federal and state laws, and could cause ICANN to lose its 501(c)(3) status under the Internal Revenue Code:"The organization must not be organized or operated for the benefit of private interests, and no part of a section 501(c)(3) organization's net earnings may inure to the benefit of any private shareholder or individual."]. "This letter requests a fee reduction of the exact type contemplated in Section 6.7 of the Registry Agreement" [Editor's note: 6.7 is a new section negotiated in secret between RySG and Atallah's "Global Domains Division"--see News Review: ICANN Secretly Colludes With New gTLD Registry Operators | DomainMondo.com--which became effective July 31, 2017, over objections of the ICANN community and others--see "Note" in paragraph "c." below]. "... ICANN to provide the RySG with a detailed accounting of expenses to date ... If the ICANN organization anticipates further spending our application fees in this or other manners, we request, first, a reasonable forecast for their likely use, and second, deeper involvement in the associated budgeting process. The RySG does not necessarily presume the cogency of such expenditures ..."
"I will be in touch shortly to schedule an in-person discussion in Abu Dhabi. In the near term, we anticipate your more immediate reply regarding the TMCH fees request and an accounting of costs to date and potential future costs." 14 Mar 2017 Letter from Paul Diaz (RySG Chair) to Akram Atallah, Xavier Calvez, and Cyrus Namazi [published by ICANN 16 March 2017]: "... the Registries Stakeholder Group (RySG) proposes that a portion of the 2012 excess application fees be used right away to offset registry fixed fees owed to ICANN ... we propose that registry operators of all delegated new gTLDs receive a 75% credit for their $6,250/quarter Fixed Registry Fee. Upon approval, this $4,687.50/quarter offset would last for four consecutive quarters, and would be eligible for renewal based on ICANN approval ... We ... also propose that ICANN create a fund, to be seeded with US$3M at start-up, to promote universal awareness of new gTLDs ... This proposal does not preclude ICANN from considering at a later date some form of refund to all applicants ..."
29 Aug 2017 Letter from Akram Atallah to Paul Diaz [published by ICANN 30 August 2017]: "... We do not yet know how much of the New gTLD Program remaining funds will be required to address future unanticipated expenses, and by when. As such, at this time, ICANN is not in a position to commit to the dispensation of any potential remaining funds from the New gTLD Program applications fees. Thank you for your thoughtful proposal and for your understanding." c. RySG asks ICANN for $$$ again and to provide a "detailed accounting" etc. "ICANN foolishly and incompetently expanded gTLDs (generic top-level domains) from just 22 (.com, .net, .org ... .gov, .mil, .edu, .int) to over 1200 starting in 2014, and now the new gTLDs hucksters (registry operators et al) are finding out that hundreds of new gTLDs are "unwanted and unneeded" and they are going broke, and want ICANN to "bail them out." ICANN has slowly begun to realize its own "pipe dream" about new gTLDs was delusional, and is now "looking out for #1" (#1 is the ICANN organization and its budget that pays the obscenely extravagant salary and benefits packages to ICANN management and much of the staff)." Of course, all of this is nothing new--just read Why new top-level web domains are doomed to fail | Media Network | TheGuardian.com 12 Feb 2013; or FTC Warns That Rapid Expansion of Internet Domain Name System Could Leave Consumers More Vulnerable to Online Fraud | Federal Trade Commission Dec 16, 2011; or Expanding Internet Domains | The New York Times Dec 25, 2011: "There is no pressing need to create hundreds of new suffixes next year. It would be far better for ICANN to start with a pilot program to work out problems before expanding the system." Bottom Line: With its new gTLDs expansion, ICANN made a "mess of the DNS," and now its most influential "stakeholder group"--the RySG (which represents all of the generic top-level domains' (gTLDs) registry operators)--has essentially been "captured" by the new gTLDs registry operators (no need for a theDNA.org), and will continue its relentless push that ICANN essentially cave-in to all its demands. a. .AMAZON Diplomacy--new gTLD .AMAZON and What It Means For ICANN--Council on Foreign Relations: "... Brazil and its allies are not without tools outside of ICANN to act on its views, including sovereign authority over commerce in their markets. This is a sensitive situation that requires diplomacy, the exercise of mutual respect, and creative mechanisms for ensuring all sides feel fairly treated." --Daniel Sepulveda, former U.S. Ambassador, Deputy Assistant Secretary of State, and Coordinator for Communications and Information Policy from 2013 to 2017.
b. ICANN60 Meeting schedule will be posted on Monday, 9 October 2017. Pre-ICANN60 Policy Open House | ICANN.org: Thursday, 19 October 2017, 10:00 and 19:00 UTC (via Adobe Connect and dial-in), register via this form by 17 October 2017. The "Pre-ICANN60 Policy Report" and "Generic Names Supporting Organization Policy Briefing: ICANN60 Edition" will be published by 12 October 2017. More info here. c. ICANN's SSR2 Team already off-track? 03 October 2017 Letter from Patrik Fältström, Chair | ICANN Security and Stability Advisory Committee, to ICANN Board (pdf) [published by ICANN 04 October 2017] re the Security, Stability and Resiliency of the DNS Review (SSR2). See also Letter from ICANN Board to SSR2 Team concerning scope of proposed work plan for SSR2’s Subteam 2.
d. WHOIS & GDPR: 02 October 2017 Letter from IPC to ICANN's Theresa Swinehart and Akram Atallah re GDPR Ad-Hoc Working Group [published by ICANN 04 October 2017] Letter signed by Greg Shatan, President | Intellectual Property Constituency (IPC), excerpt below. .
Editor's note: ICANN stated at its October 4 webinar that "at the request of the Business Constituency" a cross-community session will be scheduled for ICANN60 in Abu Dhabi, on Thursday, November 2, 10:30am to "work with the community" on GDPR issues. e. ICANN Webinar on the KSK Rollover Delay and Next Steps--ICANN.org: "The webinar [October 11, 2017, 1500–1600 UTC] will be conducted by Matt Larson, Vice President of Research in ICANN's Office of the Chief Technology Officer. Larson will be joined in the webinar by Duane Wessels, Distinguished Engineer at Verisign, Inc. Wessels has compiled data about the readiness of resolvers for the upcoming root KSK roll." Webinar Details & How to Attend are here. 96% or 228 of Donuts' 238 new gTLDs "are struggling"--OnlineDomain.com (see the author's comment 4). Domaining on the decline? | TheDomains.com. Be first, be smarter, or cheat? "Domain and trademark portfolio of entrepreneur Michael Gleissner revealed - Vast data set of nearly 9,000 companies, trademarks and domains - Expert claims scale is unprecedented, and brand owners should take notice ..."--The Gleissner Files: investigation reveals massive scope of entrepreneur’s global trademark and domain portfolio | WorldTrademarkReview.com. Project Loon in Puerto Rico (via WIRED.com): Alphabet (a/k/a Google $GOOGL $GOOG) gets approval from FCC to fly 30 Project Loon balloons over Puerto Rico for 6 months, after Irma and Maria left 90% of the island without voice or internet connectivity. Cybersecurity, AI, IoT All Major Drivers of the Internet's Future | Infosecurity-Magazine.com: "... wide-ranging fears that there are significant forces at work that may undermine the promise of the internet for future generations." Russian firm provides new internet connection to North Korea | Reuters.com 2 Oct 2017. Russian Hackers Stole NSA Data on U.S. Cyber Defense | WSJ.com: "... hackers appear to have targeted the contractor after identifying the files through the contractor’s use of a popular antivirus software made by Russia-based Kaspersky Lab ..." See also: Russian cybersecurity magnate Kaspersky slams Congress | TheHill.com.